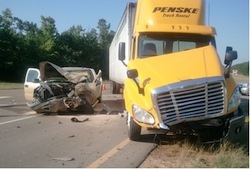 Over 40 Years Of Experience In Handling Truck Accident Personal Injury And Wrongful Death Claims! Are you a victim of ​a ​truck accident, car accident, motorcycle accident​ or uninsured motorist (UM) accident in Lake Elsinore, CA? 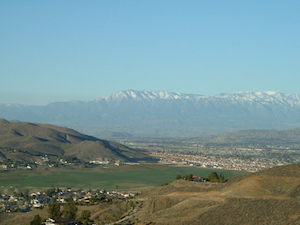 Lake Elsinore, Riverside truck accidents can cause very serious injuries. Then you are in need of aggressive legal representation from experienced personal injury lawyers. Our Lake Elsinore personal injury lawyers possess over 40 years of experience in handling lawsuits pertaining to truck, car, motorcycle or any other kinds of accident personal injury and wrongful death claims. You can contact us 24/7 for a completely FREE & CONFIDENTIAL CONSULTATION. Click here to reach us now for a truck accident case or wrongful death claim consultation. For more details on our experienced personal injury lawyers, check our lawyer profiles. Please visit our Truck Injury Accident Web Site to learn more about the truck accident injury claims process. 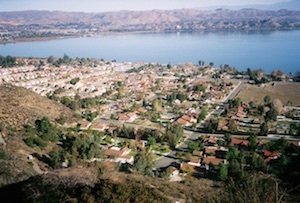 A city in western Riverside County, California, Lake Elsinore was established as a city in 1888.It is on the shore of Lake Elsinore, a natural freshwater lake about 3,000 acres in size. It was a small resort town in the late 19th century and early 20th century but gradually progressed to become a city with a population of 51,821 according to 2010 U.S. Census. The solace provided by Lake Elsinore was a major draw for celebrities vying to break away from the urban Hollywood and Los Angeles scene in the early 1900s. A Moorish-style house built by Aimee Semple McPherson, Aimee's Castle, and the abode of the lead actor in Universal Pictures' film, Dracula, Bela Lugosi, is still located in the city of Lake Elsinore. Our Lake Elsinore, Riverside Personal Injury & Wrongful Death Accident Lawyers Are Here to Help You Win! 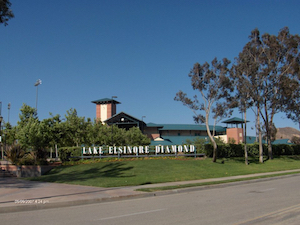 Lake Elsinore's Diamond Stadium--Home of the Lake Elsinore Storm, Minor League Team for the San Diego Padres MLB team. Please call us on our toll-free number 866 Injury 2 or 866-465-8792 (after hours please dial 1) or at 818-222-3400 (again after hours please dial 1). Alternatively, you can tell us all about your truck accident personal injury case by filling-out our contact us form. Our legal experts will get back to you at the earliest time possible. You can even contact us by email 24/7 at info@WalchLaw.com. We Don’t Charges For Our Initial Consultation – it is ABSOLUTELY FREE! We also work on most cases on a contingency fee – which means there is NO charge until you win and our fee comes out of the recovery NOT your pocket!